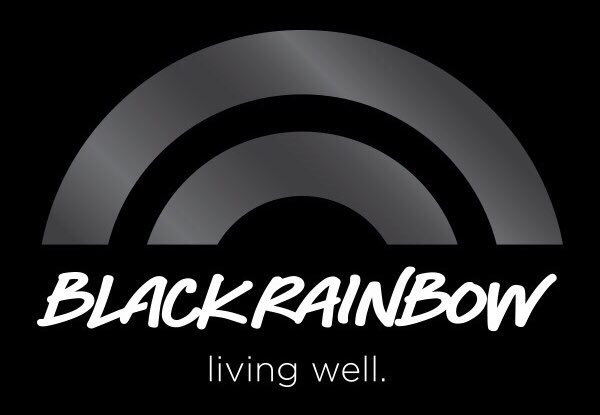 Black Rainbow set to become first peak Indigenous LGBQTI suicide prevention body and calls for greater inclusion of informed Indigenous people in executive and leadership positions across all functions of suicide prevention. Australia’s newly formed peak Indigenous LGBQTI suicide prevention body is set to launch in the new financial year. After three years of relentless campaigning, conversations and valuable feedback, founder Dameyon Bonson says, ‘the time is right’. “The announcement from the major parties in the lead up to this year’s election on their commitment to mental health and suicide prevention is encouraging and to be applauded,” he said. “Black Rainbow also calls on party leaders to ensure that in the future directions of mental health and suicide prevention that leadership is demonstrated in the recruitment of informed Indigenous people as part of its execution and delivery. That the formation of a National Office for Suicide Prevention must include informed Indigenous Australians as part of its executive and leadership group. It is only through this inclusion, which is noticeably absent from the landscape, that rates of suicide in Aboriginal and Torres Strait Islander communities will be reduced. Mr. Bonson echoes the call from Lowitja Institute CEO Romalie Mokak, that “Indigenous people should not just be brought to the table, but be made co- designers in the solutions”. Black Rainbow supports the notion of a National Suicide Prevention Act, however, informed Indigenous Australians must be at the table co-designing from day one. For such an Act to be effective and sustainable, the process at all times must be one of equity otherwise we continue in discrimination. Wow. If you would’ve said to me, when I was 13, that I’d be able to stand up here as a gay man and say that without any fear of retribution – I would’ve like to have heard it then. But to be able to do that today just shows how far we’ve come. I’m so glad that my husband of seven years was able to join me this evening. We live in Broome, and I get to travel quite a bit with the work that I do. So this is kinda awesome for him to be here. I’d like to thank everybody if I can. The Honorary member for NSW Parliament, Shaoquett Moselmane for hosting such an important event. To the Honorable Dame Marie Bashir for your eloquent keynote address and to the wonderful Natalie Ahmat for her MC skills this evening. Indeed, thank you for the path legends among our people like Dr. Yunupingu; for whom this award is in honour of – and indeed the lovely message this evening from Yalmay Yunupingu, his wife. Just quickly, because I can get going a bit… So I work in upstream suicide prevention. That space, upstream is before people get unwell. And I been doing that for about seven years now. And the underlying factor to it all these suicides is actually racism. The key theme that we need to keep powering on with is anti-racism. [Because] It’s in the policies, and it’s in the behaviours of people and organisations. So when I hear about the suicides and I see the devastation that it leads behind, somewhere in that person’s history is an act of racism. Whether it’s because they don’t have appropriate housing, or access to healthcare. We’re not talking about racism because someone won’t sit next to you on a bus. We’re talking about entrenched, systemic racism that is keeping our mob sick, and it’s killing them. As a gay Aboriginal man, homophobia does that to our mob as well. So does transphobia. I run some workshops that look at sexuality and gender from a cultural standpoint. [For example] The barramundi changes gender – that’s a totem for some of our mob. The black swans, the males, they co-parent. The bearded dragon has a boyfriend. As Aboriginal and Torres Strait Islander people, we are so in-tune with the country, and its animals and plants. Being gay, being transgender, it’s natural. What’s not natural is the homophobia that exists, and the transphobia that exists. Those two things, compounded by racism, make the group that I belong to – which is one of you mob, too- makes our lives even that more like hell. We know from the work happening over in North America with the Native Americans there. If you’re a Native American person who is LGBTQI, you are the highest risk group of suicide than any other ethnicity of anyone else in that country. That kind of research work has not been done here yet. Personally, I refuse to wait for that work to be done, because when you look at what racism does to our people and then you look at what homophobia does to our people, and you combine those things together and it’s just deadly. Not that good deadly either. We’re talking about brothers and sisters who are killing themselves because people are saying that they don’t belong. Apologies. I’m being remiss in not acknowledging the traditional owners, so I’d like to do that just before I say one final thing – The Gadigal people of the Eora nation, thank you. I love visiting your country, I really, really do. It’s beautiful. If I can send one last message to any Aboriginal or Torres Strait Islander person out there that is questioning their existence because they’re gay, they’re lesbian, they’re transgender, intersex, questioning, even queer – this one’s for you. You belong, you are loved, and we are one of the mob. This is an edited version. Dameyon Bonson, is the 2016 recipient of the Dr. Yunupingu award for Human Rights. Previous recipients of this awards are Rosalie Kunoth-Monks in 2014 and Tauto Sansbury in 2015. I fall into several main groupings when it comes to suicide risk. I am male, and I am in my 40’s. I live with depression and I live with anxiety. I am gay, and I am an Indigenous Australian. I am a gay Indigenous male in his 40’s living with depression and anxiety. However, just for the record I am not suicidal. Here in Australia nearly 80% of the deaths by suicides are male deaths. The median age of deaths by suicide for males is the mid forties. Depression, for both males and females, is known of course to be a risk factor for suicide. Indigenous males in Australia are twice as likely to die by suicide than non-Indigenous Australian males, and gay males are said to be six times more likely to die by suicide. However, being male doesn’t make you suicidal as neither does being an Indigenous person. This rule same applies if you are a gay person. Being gay doesn’t make you suicidal. The exception is having depression. It does not make you automatically suicidal, but left untreated you place yourself at greater risk, I do recommend finding a service that suits you. I’ll be honest, male positive services are as rare as hen’s teeth, but whatever you do don’t give up looking. The most successful male positive services have a high intake of men. For those not familiar with the term ‘upriver suicide prevention’ (also know as upstream suicide prevention’), let me set the scene – picture the top end of a river, a person standing on the river bank and a kayak floating in the calm waters. The river bank is a person’s life, and on that river bank there are a number of determinants, social, political, environmental, you name it. ‘Upriver suicide prevention’ means having protective structures in place to stop you from ending up in the river in the kayak and heading downriver. Downriver is where the water, and the person life, gets quite treacherous and tough. Heading downriver there are a few submerged rocks, a couple of whirlpools, some bruising rapids – each of these representing social, political, environmental determinants left unattended and they have gotten worse, more stressful on a person. The person in that kayak maybe either exhibiting some kind of suicidal behaviour; or is behaving in a manner that is placing them at risk of suicide or death; or can be observed as being affected by said determinants and risk factors, placing their life at risk. The further that person is down that river in that kayak the greater the risk that person is of ending their own life. Bear in mind that, the farther down the river a person is, the more challenging it is to get them back or themselves upriver and on to its bank. Because at the end of that river is a bone crushing life ending waterfall. The importance of upriver suicide prevention is activities and initiatives which cannot be understated. These activities and initiatives can be highly effective in stopping people from ending up in that kayak, or at least keep them upstream. When is comes to ‘suicide prevention’ It’s probably worth noting that ‘suicide prevention’ isn’t the actual preventing of suicide. It’s the accumulative ‘efforts’ done to prevent suicide. It is an output, not an outcome. There may be a ton of ‘efforts’ (output), and there is, to prevent suicide, but how many actually work (outcome)? When a person ends their own life every forty seconds[i] (globally) it’s sometimes challenging to see. Then again, without these efforts it could be a death by suicide every 10 seconds and current efforts stem that from happening. We just don’t know. There is much government and non-government policy and documents designed and written for service provision with the intent to engage with Indigenous people that focus on ‘capacity building’. It is a deficit approach. If you are working with Indigenous people with the idea to ‘capacity build’, the inference is that there is none; that there is no capacity, so you don’t see any and you wrongly ‘start from scratch’. By pursuing a capacity building ideology people fall into the ‘helping’ role (pit); helping by the way is also a deficit approach. Indigenous people are not helpless. If you continue down this pathway you fall into the pit of white saviourism and nothing good happens from there. Capacity strengthening on the other hand is the idea and the recognition of the capacity that already exists in communities and in people. These communities and people have capacity, but have a lack of resources, or access to resources, to fully realise, actualise and mobilise their capacity. In this circumstance the roles and functions of people working with and alongside Indigenous people is to use their skills and expertise to further strengthen the existing capacity to assist in responding to the ills affecting them. In the truest form of community development, capacity building places Indigenous people as the knowledge holders of the solutions. For capacity strengthening to be fully realised, Indigenous people also need to be the main beneficiaries of the work being done. Any and all projects and initiatives must be lead by Indigenous people. The intellectual property of these initiatives must be majority held by Indigenous people. Any capital acquired as result of this work must be shared equitably. Whether it be professional, social or economical. I kid you not, much like Indigenous health, Indigenous suicide prevention is an industry. And to be frank, if you are a service provider whom has received large amounts of money to deliver Indigenous suicide preventing initiative and programs that haven’t worked (i.e. outcome < or ≠ output), please don’t ask for more money ‘to get better at it’. Especially if you’ve had a number of attempts to ‘get it right’. Racism is known as a determinant of health for Indigenous Australians and there are many types of racism. Definitions of these can be found here [ii]. Racism is often described as power-plus-prejudice. In Australia, Indigenous Australians do not have have equitable amounts of social, economical and political power in balance with non-Indigenous Australians. Prejudice isn’t necessarily a ‘hate’ but it can be a bias. For example, if you are a non-Indigenous Australian working with Indigenous Australians and you profit socially, professionally, economically and/or politically from that work without there being an equitable distribution of those gains, this can be described as racist. If these behaviours are not called into check they can and do lead to ongoing inequalities in power, resources and opportunities for Indigenous Australians. If at all you are operating a suicide prevention initiative with Indigenous people, there is a need to ensure that this initiative has been culturally validated or culturally vouched for (by the right people, not any ole Indigenous person will do). Failure to do so places you at risk of contravening the Optional Protocol to the Convention against Torture [iii] (OPCAT), to which Australia is a signatory. “The Optional Protocol to the Convention against Torture and Other Cruel, Inhuman or Degrading Treatment or Punishment (OPCAT) is an international agreement aimed at preventing torture and cruel, inhuman or degrading treatment or punishment.” (This is where cultural capability, cultural validation and cultural vouching is very, very important. Without these things you risk harming Indigenous people. And if you are receiving Commonwealth funding, where you have to report under a human rights framework, you are not operating under the terms of your contract and misusing the funds you have been given). As far as suicide prevention campaigning goes, what we don’t see, which confounds me no end, is that there is no anti-racism messaging out there used to combat Indigenous suicide. NOT ONE EXAMPLE. Now why is that? Racism at all levels of its functioning needs addressing that’s (suicide) why. And if that happens, folks are going to have to be accountable and many of those folks will be faced with the cold hard truth that they profit from this racism. Anti-racism messaging can be affective, however needs to be done so with an aim to prevent suicide. Each level however, will require its own specific intervention. But before the shouting of Ben Hur, there is a starting point. And it’s simple. Because if we can have nation wide school wide anti-homophobia campaigns to protect the mental health and wellbeing of the LGBT community[iv], then we can have anti-racism campaigns to protect the mental health and wellbeing of Indigenous Australians. Because even though there is plenty of evidence that racism is a determinant of health for Indigenous people [v], anti-racism messages in suicide prevention are nil and as reported in The Stringer previously [vi], Racism Kills. – Declaration of impartiality conflict of interest: The author of this article, Dameyon Bonson, is the Founder of Black Rainbow Living Well [vii] (for Indigenous LGBTI Suicide Prevention) and a national committee advisor to the Aboriginal and/or Torres Strait Islander Suicide Prevention Evaluation Project (ATSISPEP). In 2013, the then Governor General, Ms Quentin Bryce came out strongly raising the issue of the high risk of suicide for gay, lesbian and gender diverse people. Also in 2013 the Aboriginal and Torres Strait Islander Suicide Prevention Strategy was released which highlighted the significant higher rate of suicide among the Aboriginal and Torres Strait Islander population. Later this month will see the release of a report I have undertaken, with the help of many people whom have contributed to its content, editing and presentation layout. This report will be the first time the subject of suicide has been specifically discussed for Indigenous_ gay, lesbian and gender and sexuality diverse people. As it stands Indigenous Australians are the highest risk group of suicide in Australia and 12th highest in the world (shutting down communities isn’t going to change that, systemic racism needs to be eradicated first and foremost). For non-Indigenous LGBTI Australians the rate of suicide is are 3.5 to 14 times higher than heterosexual non-Indigenous Australians. Data on the suicide among Indigenous people who are diverse in gender and sexuality is non-existent. But the math is frightening. In recent times there have been several reports and papers that speak to the health and wellbeing of the gay, lesbian and gender and sexuality diverse people in Australia. However, the messaging and contribution is very caucasianesque. We have the Writing Themselves In series, 1, 2 and 3, from La Trobe University, Melbourne. From Blues To Rainbows also undertaken by La Trobe University. Most recent is the release of Are LGBT populations at a higher risk for suicidal behaviours in Australia? Research findings and implications from The Australian Institute for Suicide Research and Prevention (AISRAP) at Griffith University. This publication made no mention of Indigenous people. Having read through these documents, they are no doubt worthy contributions to the gay, lesbian and gender and sexuality diverse health and wellbeing discourse. What is disappointing is that there is zero acknowledgement, discussion or recommendation for research to be undertaken to look at the relationship between suicide and the wellbeing of us Indigenous gay, lesbian and gender and sexuality diverse people. My forthcoming report, Voices from the Black Rainbow: The inclusion of the Aboriginal and Torres Strait Islander LGBQTI Sistergirl and Brotherboys people in health, wellbeing and suicide prevention strategies, released later this month is by no means the panacea to this gap in research and scholarly application. It is however hoped that it is appreciated as piece of work highlighting that Indigenous gay, lesbian and gender and sexuality diverse people are worthy of further research and consideration. How this research is done is as important as the work itself. There will need to be Indigenous gay, lesbian and gender and sexuality diverse people included at the initiation of such a research project and recognised as co-chief/lead investigators. The old chestnut nothing for us, without us is important for a number of reasons. The first being that it indicates you are serious about a partnership, and not out simply to acquire ownership of the work. The second is self-determination. Self-determination is evidenced as a protective factor to suicide. Whiteness and heterocentrism are not mutually exclusive determinants of health for Indigenous gay, lesbian and gender and sexuality diverse people. Both are ubiquitous. Both are harmful to an individual’s and a population’s health. Feeling might get hurt, but people’s lives are at stake. At a policy level, we also need to be present. There are many veils to heterocentrism and the Indigenous community is not immune from this either. Yet, there is movement at the station. The Aboriginal and Torres Strait Islander Suicide Prevention Evaluation Project (ATSISPEP) has a national advisor committee on which I sit. I am however the sole Indigenous sexuality diverse person of this committee, and I am male and cisgender. Notwithstanding, there are some mighty fine achievements in need of celebrating. In March saw the release of the first ever federally funded national suicide roundtable report focusing solely on Indigenous gay, lesbian and gender and sexuality diverse people. This report that was populated by a roundtable discussion, from Indigenous gay, lesbian and gender and sexuality diverse people, of which I was assigned co-facilitator. Future directions however, will require an Indigenous Islander gay, lesbian and gender and sexuality diverse leading the facilitation. Preventing suicide among Indigenous gay, lesbian and gender and sexuality diverse people starts with inclusion. Inclusion within the both the Indigenous community and the gay, lesbian and gender and sexuality diverse population at large. One of the tenements of the Aboriginal and Torres Strait Islander gay, lesbian and gender and sexuality diverse roundtable report, and indeed of Voices from the Black Rainbow, is that our self-determination and ownership is fundamental to any future directions. Fundamental to preventing Indigenous gay, lesbian and gender and sexuality diverse peoples’ suicides. Fundamental to our survival. The inclusion of us this May, at the Aboriginal and Torres Strait Islander Suicide Prevention Conference Coming Together For a Greater Tomorrow in Alice Springs is the first step on many more to come.